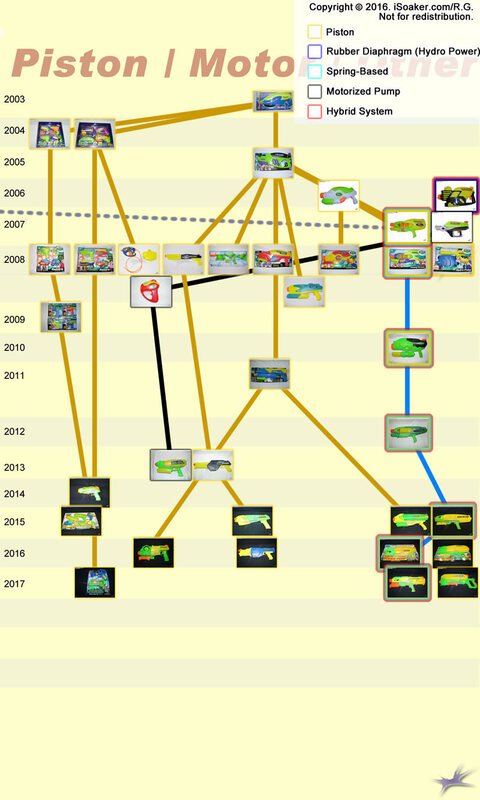 Below is a visual tree of all non-air-pressure/non-elastic-pressure-based Water Warriors blasters released from 2003 onwards. The image is clickable with links pointing to the various review pages here on iSoaker.com. Lines connect proposed related water blasters; relationships based on styling, size, and blaster technology used. Some of the relations are semi-subjective.